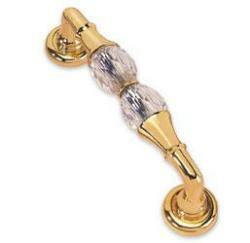 Crystal pull handle from canary range of dorset made with crystallized Swarovski elements, in pairs. 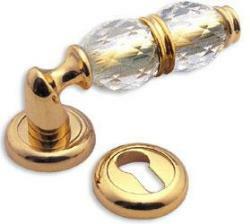 The concealed fixing rose measures 50mm diameter, and Projection is 75 mm. There is something to be said for the classics. Cystals are solid, not hollow. The brilliant colors actually sparkle like diamonds from the "diamond cuts" made in to each piece. 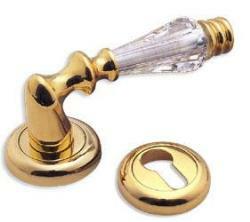 These are not found in your normal hardware stores, and if you do find them they will be very expensive. 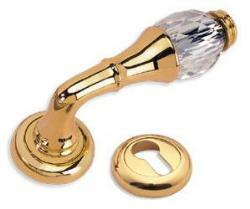 This crystal lever door handle is made with Swarovski crystal in a very delicately curved and carved fashion. 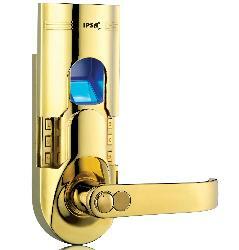 This door handle is stylish and new, also these are available in four different finishes. 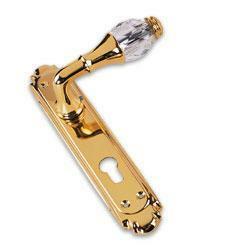 It is a brilliant handle for indoors, fitting in with any door. 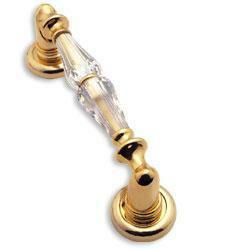 It looks very up-beat and would fit your door perfectly. 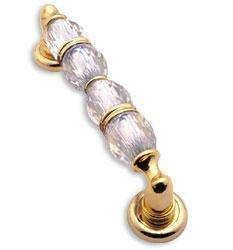 The handle starts off quite thin and thickens out towards the end, making it fit in the hand well, and turn easily. 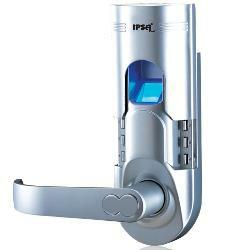 This door handle is stylish and ergonomic that sits very snugly into the palm of the hand.